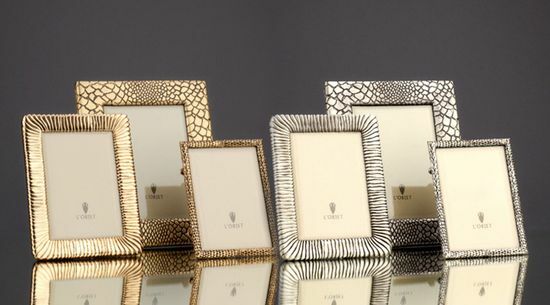 ﻿ We choose a gift for the colleague: The TOP of elite gifts for the colleague. The gift to colleagues is capable to show your arrangement and interest. Gifts with business symbolics will even more rally collective. 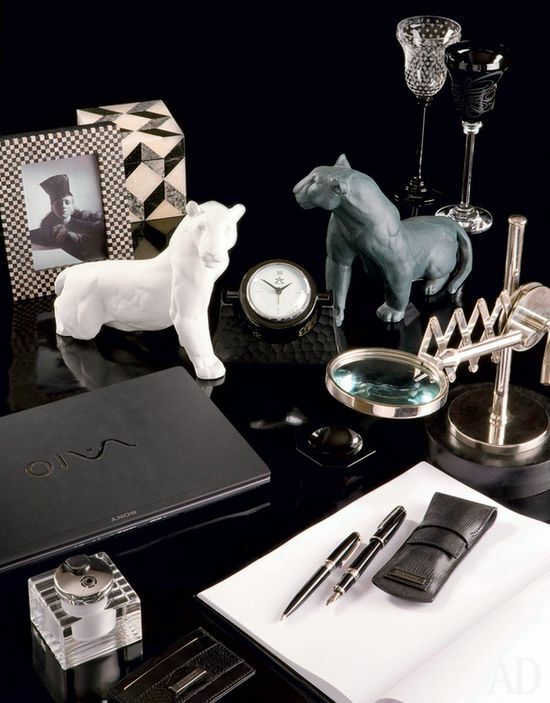 Today we represent the TOP of the best, useful and pleasant, gifts for colleagues. Women in a bigger measure than men appreciate a combination of a practicality and beauty therefore special attention should be paid on appearance and quality of a product. Today a framework for photos becomes an independent subject of an interior. 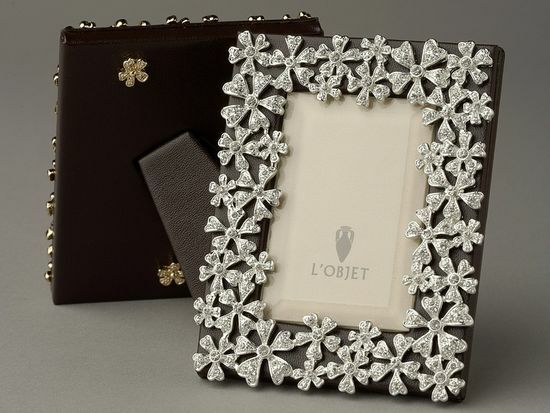 The American firm L'OBJET creates works of art: as a basis the genuine leather over which there are freakish patterns from braids, brass flowers or Swarovski's crystals is used. The similar frame pertinently looks both in a study, and on the chimney shelf. Cost: from 14 to 20000 rubles. The refined figurine is capable not only to change an interior, but also to show your attitude towards the person to which the gift is intended. So, for example, the elephant symbolizes the will to win and force, and an owl – wisdom, and the horse and a dolphin bring success in affairs. Haviland figurines – work of masters from Limoges. They make the creations of white and black porcelain, skillfully them paint. The panther figurine from biscuit porcelain will cost 38 000 rubles everyone. 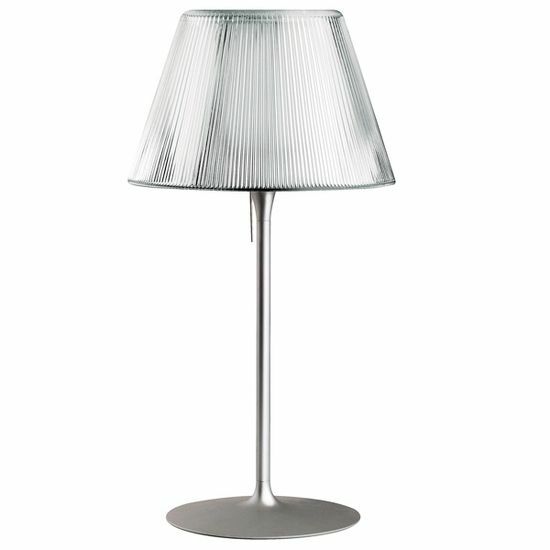 The desk lamp will make at once office cozier and will give it unique style. If your colleague prefers natural materials and natural shades, present her an author's lamp tree (Velis gallery), lovers of minimalism and hi-tech will like the metal Romeo Moon T lamp. 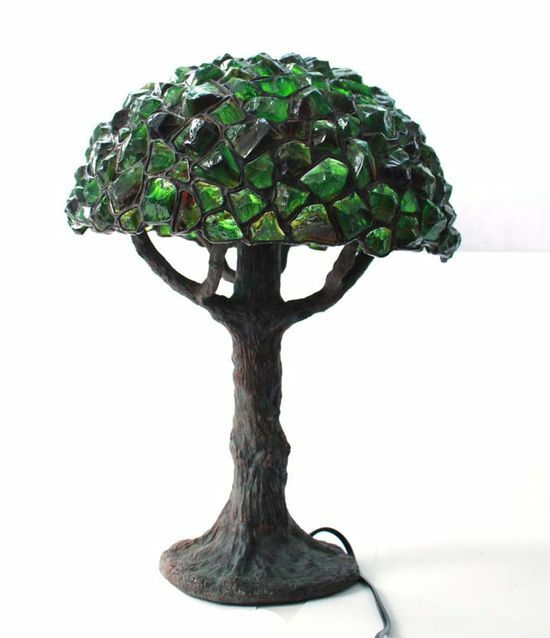 Lamp tree – 80000rubley (4), Romeo Moon of T - 66 000 rubles. Men appreciate qualitative accessories: umbrellas, handles, toilet bags, etc. The gift has to be solid and expensive, emphasize the status of the owner. 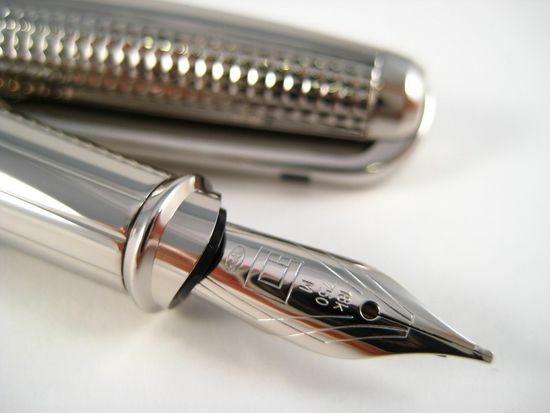 The S. T. Dupont company here lets out 40 years the products from skin writing subjects and lighters which are associated with wealth and success. At creation of Dupont handles the Chinese varnish polished manually Gas lighters thanks to their filigree finishing is used it is possible to call works of jeweler art. 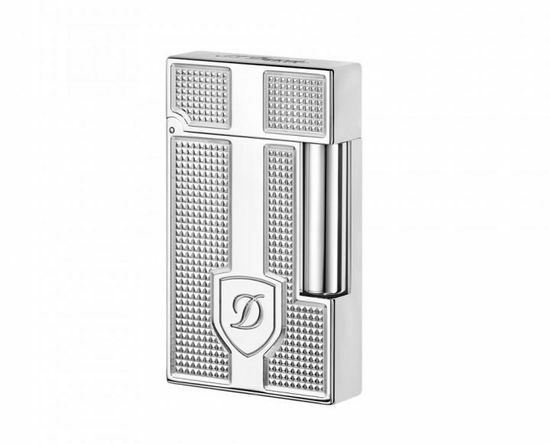 The Peryevy S.T.Dupont handle - 40000 rubles (6); a silicon lighter – 50000 rubles. 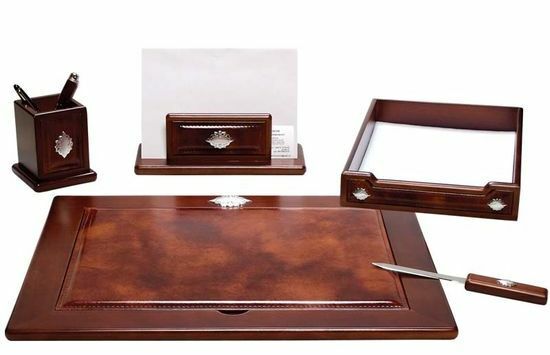 With a desktop organizer the table will look at once more well-groomed and is representative. Sets of a business class are carried out from skin and a tree, marble or obsidian, and for finishing metal, suede, glass and crystal are used. The cost of a set is 38000 rubles. 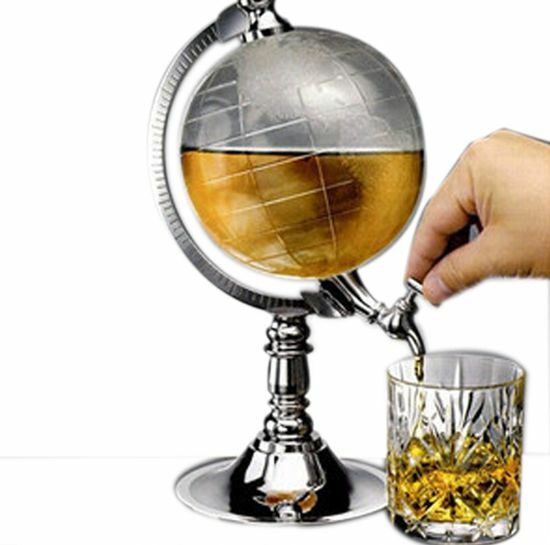 If the colleague or the chief is fond of a collecting of elite alcohol, present it the globe bar. It will pertinently look in an office, library or a drawing room. 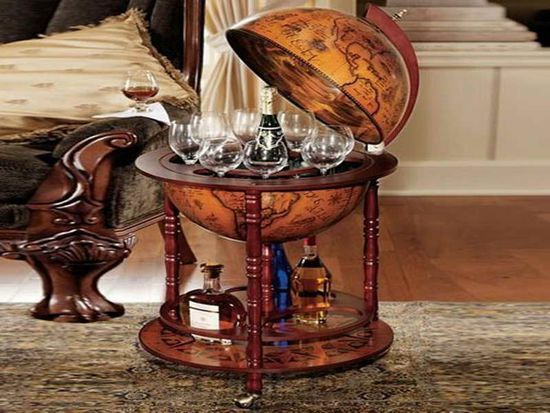 The bar can be desktop, built in in a serving trolley or the refrigerator or high, standing on own legs. Depending on material, it will cost to you in the sum from 11 to 100000 rubles.